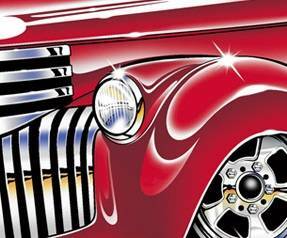 GALION — The Uptowne Galion Cruise-in and Car Show is Saturday in Historic Uptowne Galion. For the fifth year in a row, the annual show is being sponsored by Galion First Lutheran Church. Starting Friday evening, the best spots along Harding Way will already be staked out and reserved by those in the know. But the official registration for the show begins at 10 a.m. on the square in Galion. Registration continues through 2 p.m, and awards will be announced and handed out at 3 p.m. The car show officially ends at 4 p.m., but organizer Mike Smith said participants will start taking off after the awards are passed out. So if you’re a late arriver, get there before 3 p.m. for your best opportunity to view the 50 or 60 cars expected to be parked along the streets. There will be door prizes, a raffle, 50/50 drawing and more going on. And, if you just want to sit and chat and listen to some music and learn about the re-done vehicles, there is plenty of opportunity to do just that. For inforammation, call Mike Smith at 419-571-8708.